NAOqi.Net allows you to call any NAOqi method from most Microsoft .Net languages. 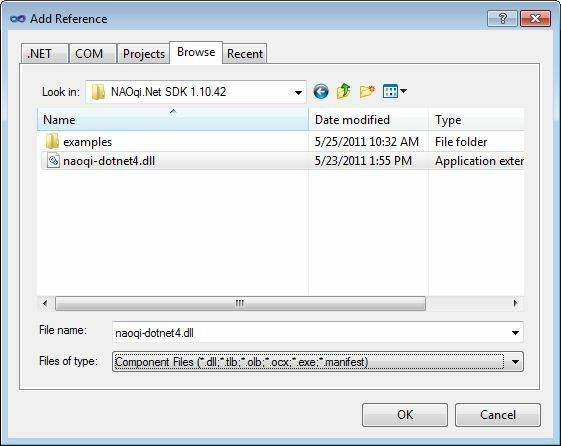 Featuring a very small download size, and coming with autocompletion, it is one of the easiest ways to program NAO from a remote Windows based machine. It has been principally tested for c# but is known to work in Visual Basic and F#. NAOqi.Net can only be used on remote Windows machines. It cannot be used on the robot, even via the Mono framework. It does not currently implement NAOqi’s ALModule class, and as a consequence, it cannot receive event notifications. You can download the latest release from the Aldebaran Community Website. 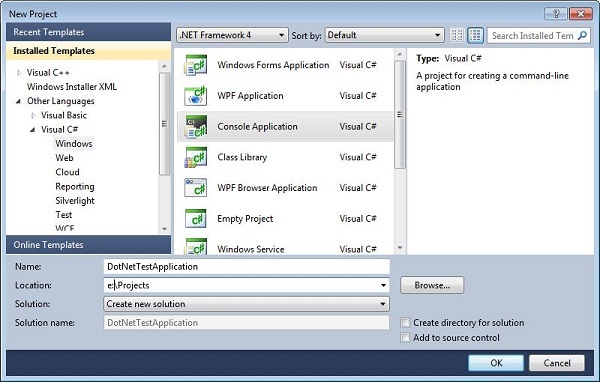 This example shows how to create a “HelloWorld” application using naoqi-dotnet4 in Visual Studio 2010. 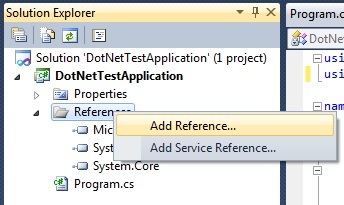 From the File Menu of Visual Studio 2010, choose New Project, then select a .Net project type that corresponds to the type of project you wish to create. In this example we will choose to make the simplest C# Console Application. Select the project in Solution Explorer and right click to add a reference. Choose the Browse tab and navigate to the naoqi-dotnet4.dll. The first argument is the IP address or hostname of the NaoQi that you wish to connect to. The second argument is the port which is typically: 9559. The ‘say’ method of the TextToSpeech module takes a string argument containing the text that you wish to say. In the install directory, you will find a simple example called NaoCamCSharp which shows how to make a simple windows forms application that controls the head orientation and receives images from the camera. The underlying modules of NAOqi use c++ types. All the basic types of c++ that are used in bound methods have very similar types in .Net so need no special translation. The .Net ArrayList is a collection of objects. Because in .Net all types derive from Object, any basic type, or array of objects will be automatically cast into an object or object array if that is what the method accepts. This example shows how to get the bytes of an image object. If you try to use a naoqi-dotnet2 in Visual Studio 2010, you will receive an error about mis-matched targets. The solution is either to use naoqi-dotnet4, or to add an app.config file to your project which tells Visual Studio to play nice. To build projects on 64 bit machines, you need to choose “x86” in Configuration Manager. If you attempt “Any CPU” you will get errors about mixed architectures.